This is not a review by any means as I did not purchase this product as I didn't like the swatches within the store. It felt like a felt tip pen, it seep into lines on my hand just like a felt tip pen and bleed just as if I would be applying...a felt tip pen. Being that it is meant to be like a felt tip pen I guess it's meant to have all resemblance of that. If I wanted to wear felt tip I guess I'd just buy felt tip. Yet why would I want to wear felt tip ? As I said this is not a review this is just my initial thoughts on the product as I was browsing in store. The first swatch is when I first applied it around 10am and the second is on my hand at 3pm now I'm sure if it was on my lips, I'd be able to speak more on it but as it's on my hand I cannot comment too much but just by the way the product applied and yeah the staying power on my hand will be a lot different to my lips as those are moving every second but from how it applied on my hand, I doubt it would last on my lips. 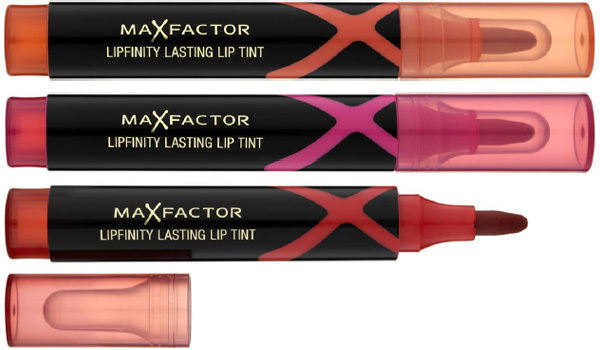 Has anyone purchased the Max Factor Lipfinity Lasting Lip Tint ? hmmmmmmmmmmmmm I am never sure about this felt tip pen like lip products. In my mind they add little in the way of moisture? I could be wrong!